Just as March was coming to a close, a second round of Live Builds landed for the month. This is primarily a bug-fix release, but thanks to our amazing contributors there’s new stuff too! Some great progress has been made around artifacts lately. There are fixes to their appearance and equipment placement, a new console command to spawn any artifact, and even decent progress on the bespoke effects that make artifacts so unique. I won’t cover the artifacts in great detail here, so check out the UESP Daggerfall Artifacts page for more information about them. Wabbajack is a magical staff imbued with the chaos of Sheogorath. Striking an enemy will randomly transform it into another type of enemy. This might turn a powerful foe into a relatively harmless rat. If you’re lucky. The Mehrunes Razor has a chance to instantly slay any enemy. Reading this powerful book allows the player to distribute 30 points into their attributes. Azura’s Star is a powerful soul gem that can be emptied and refilled over and over. This will be very useful when the magic item creator comes online. How long will that Daedric rat-sticker take to repair? Now you’ll know, because repair times are shown before you commit to the repair. You can also take your items back early, although you forfeit the repair costs. And if you don’t like classic Daggerfall’s repair times, you can enable instant repairs in settings. Oh, and you can enable repairs for magic item too, if you like. 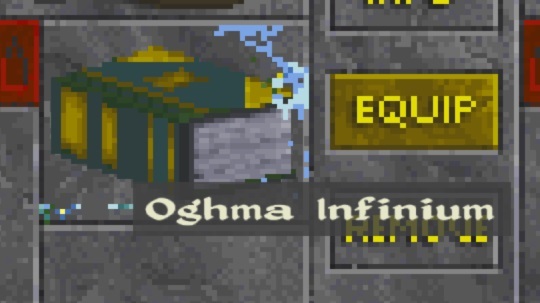 With the following now available, it means all spell effects in Daggerfall Unity are done. Same goes for all class & race advantages/disadvantages, diseases, poisons, and most of the item powers. The long laundry list of effect-based code is finally close to the finish line. Boop! And the undead are gone! There’s a similar spell for bothersome Daedric infestations as well. Be careful with this spell that you don’t banish your quest target to Oblivion. Banishment doesn’t count as a kill. The shield effect will absorb some or all incoming damage to the player. This includes physical, magical, and even fall damage. This effect increases your chance to pacify enemies by speaking soothing lies about how you won’t backstab them the moment they stop looking. Thanks again to Allofich for clarifying how effect operates in classic. Another big list of bug fixes and small tweaks. And that’s it for March 2019. Coming up in April, I’ll be working on completing the magic item creator so we can finally craft custom magic items in Daggerfall Unity.